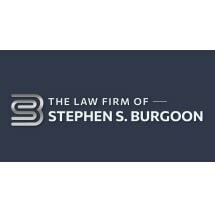 The Law Firm of Stephen S. Burgoon provides experienced representation in all types of employment law matters. Based in Frederick, Maryland, the firm serves both employers and employees. For nearly 20 years, Mr. Burgoon has maintained a strong focus on employment law. He has represented hundreds of employees and employers in state and federal court as well as administrative agencies. He devotes individualized attention to each client matter and accords every case a high level of importance. As a solo practitioner, Mr. Burgoon does not hand cases off to associates or paralegals. He personally handles all aspects of client matters to ensure they receive high-caliber legal services. Additionally, he invests the time to build long-term relationships with clients so they feel comfortable turning to him for any employment-related legal concerns that arise. Mr. Burgoon is attuned to the economic realities that often inform clients' decisions. He astutely analyzes the costs and benefits of different courses of actions so clients can make informed decisions. To speak with an experienced employment lawyer, call 301-624-4366. The firm is conveniently located near Interstate 270 in Frederick, Maryland. Weekend appointments are available.